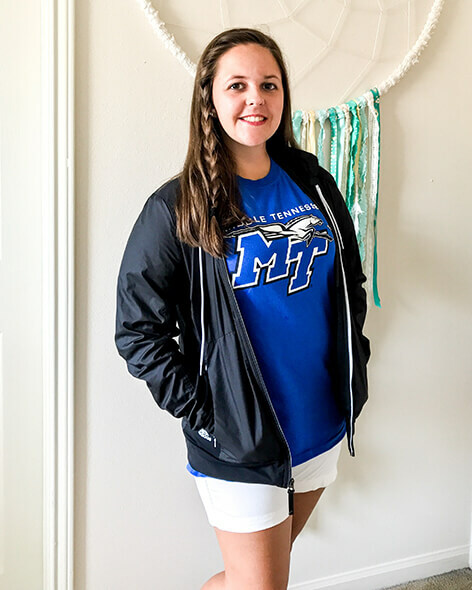 Middle Tennessee State University (MTSU) freshman Danielle Hoeft is the latest winner of our quarterly $5,000 Nitro College Scholarship. Here's how she found a way to graduate from college debt-free. Through her own tenacity, and with a little online sleuthing, Danielle was able to ensure she'll graduate debt-free. "I wouldn't say there were specific sites I went to. I just looked up scholarships on Google. I'm going for business management, so I looked for business-related scholarships and went from there. I started off by seeing how much I could get and after I won the first scholarship, which was pretty big, I challenged myself to see if I could get out of college debt-free.' I actually got all my school paid for with different scholarships. I had a couple local ones and a couple online ones I found." Sounds like the search might have taken a lot of effort, but how much time did it really take her? "I'd say an hour or two a week. And then when deadlines started hitting I put a little more into it--a couple hours a day, on the weekends, whenever. I started looking scholarships up during senior-year Christmas break. A lot of them started coming out in April and May, and that's when I got a bunch of 'em." Danielle lives about 40 miles south of Nashville in Chapel Hill, a small town whose founders came from North Carolina. Today it's home to around 1,500 residents, 120 of whom are graduating seniors. Danielle has been thinking about college for a long time. "We started saving when I was in kindergarten,” says Danielle. “We had a little school bank that we put $5 in every Wednesday." Danielle's parents are transplants from Wisconsin, her father having moved with his work to The Volunteer State. "I never lived there but we're huge Badgers fans and we visit all the time. It's good to go up and see the family--it's a little bigger feel than our small town. Winters are a lot colder but it's fun to go play in the snow." These family trips even led Danielle to seriously consider attending college there. "This Christmas we got seriously talking about college. When discussing the differences between MTSU and Wisconsin, we talked about the fact that Madison would require a lot of loans, as opposed to MTSU--I could fund mostly through scholarships. From there we made our decision." Why did she choose MTSU? "I wanted to go to a bigger school and with the in-state price that just made the most sense because that's one of the biggest schools in the state." Danielle's practical approach is in keeping with the tenor of her declared major: business management. In fact, she already runs a successful business. "When I was in fourth grade I got this Cricut just for fun, and a couple years ago a friend asked me to make a sticker for a Yeti cup." Other friends would see her vinyl sticker creations and ask where she got them. "It started off just me, but it got bigger so my parents started helping out a bit. They were excited about it, too. We've gotten on Facebook now--we have a little page called Danny's Vinyl Decals--but it started off by word of mouth." Will we see her on Shark Tank someday? "I don't think we're gonna get that big," she laughs, "but you never know! That'd be cool." For now, Danielle's focus is on working toward her undergraduate degree, even as she considers what she might do with it. 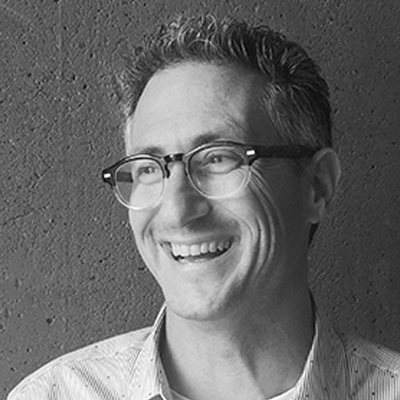 "I'd like to move back to Madison and get into a corporation up there. I know through my internship this summer that they have a couple different health-care businesses up there." But would this entrepreneur ever consider putting her degree to use for her own business? "I think I'd start with a larger business and then think about venturing out onto my own, if I ever got into that." Nitro congratulates Danielle. Be sure to apply for our next $5,000 Nitro College Scholarship. It’s just three short-answer questions. And recommend your friends, because if one of them wins, Nitro will give you $1,000, too! For additional resources, check out Nitro's new Scholarships for College Students page!